Singapore Post (SingPost) announced its revenue for the third quarter (Q3) was up by 16.8% on last year, but its underlying net profit was down 28.5% to S$31.4m. The group said the declines were due to the operating losses in the U.S. eCommerce business, costs related to the new Regional eCommerce Logistics Hub, and a fall in domestic mail volumes. In the postal segment, domestic mail revenue declined in line with lower letter mail volumes, in particular with financial institutions pushing e-statements. This was offset by growth in International mail revenue which was driven by higher cross-border eCommerce related deliveries, especially with higher volumes from the Alibaba Group. Consequently, Postal revenue rose slightly in the third quarter and nine months respectively. Logistics revenue rose by 5.6% and 5.2% for third quarter and nine months respectively, driven by higher contribution from Couriers Please and Quantium Solutions from increased eCommerce-related activities. eCommerce revenue rose with the inclusion of new U.S. subsidiaries, TradeGlobal from 14 November 2015 and Jagged Peak from 8 March 2016. SingPost's CEO Mervyn Lim said that to secure the future of SingPost, the group was "building out" its capabilities and "broadening and deepening our eCommerce logistics network." "There are challenges along the journey and it is going to take a number of years for our investments to contribute,” Lim noted. In a statement, SingPost indicated that decisions will have to be made in relation to the poor performance of TradeGlobal, indicating that "there is a risk of significant impairment to TradeGlobal’s carrying value." 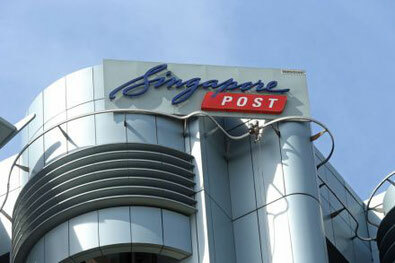 It added that the SingPost Board will also be conducting a review of all the investments of SingPost. Cincinnati-based TradeGlobal, which was acquired for US$169 million on October 2015, posted an operating loss as higher labour costs were incurred due to worker shortage in the city, and productivity impacted by delays in warehouse automation and the rollout of services for new customers. Developments at two of its top customers also affected TradeGlobal’s performance: One customer has filed for bankruptcy, while the other has decided to in-source its eCommerce freight operations.